The 26 shapes of the American Sign Language alphabet are available in assorted colors; we'll choose a color just for you. Hand shapes vary in size depending on letter and measure 2 or less. 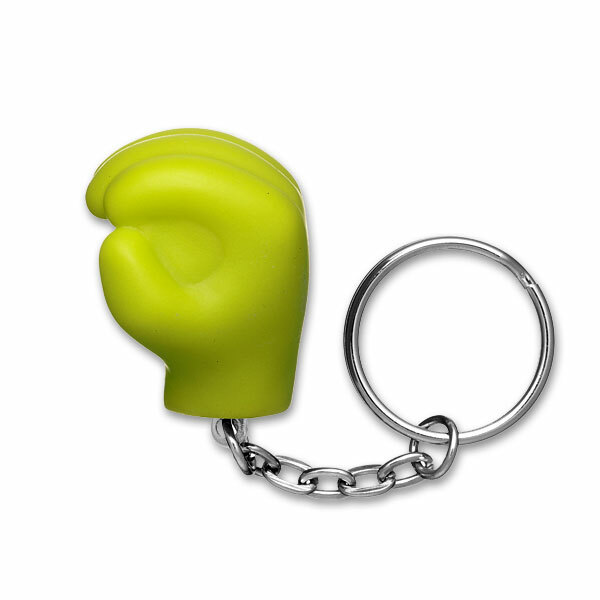 Key ring size: 15/16 and is big enough to accommodate all your keys. This item is for the ASL letter O.